If the weather is mild where you are it may be time to run the tractor/mower over for a first cut, setting the blades high and then gradually lowering for successive cuts. Moss can build up over winter and this needs raking out, with areas treated to a helping of moss killer, following the manufacturer’s instructions. You can sow seed later on any bare patches. 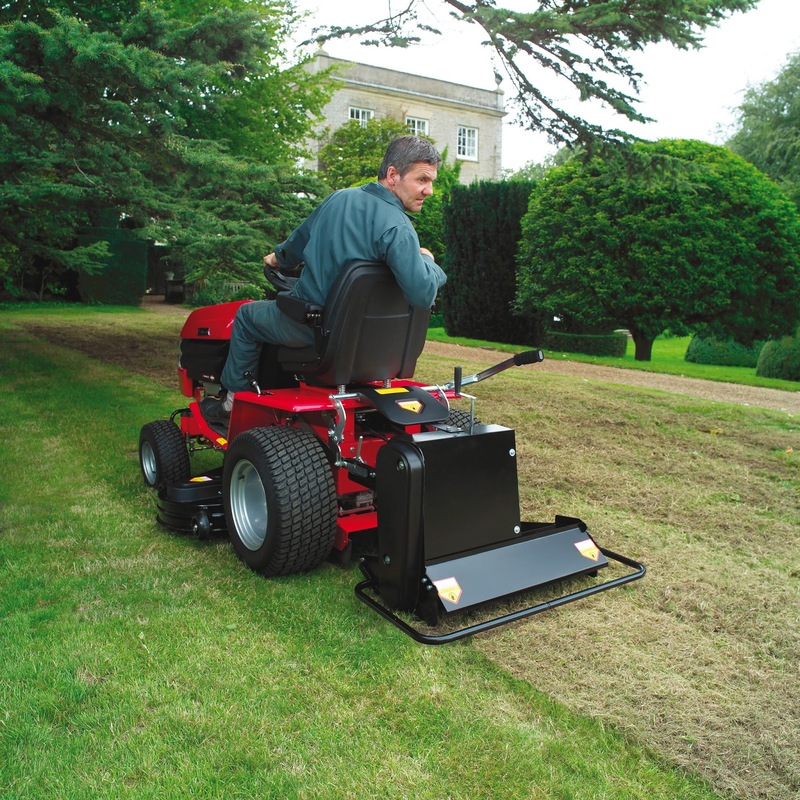 Hook up the scarifier and aerator on the garden tractor to give the lawn a good going over and remove thatch, providing the ground is not soggy. It’s a good time to repair lawn edges with an edging tool – the half moon type is handy, or use an edging attachment on a powered multi-tool. If you’re going to seed or lay turf for a new lawn area, continue preparing the bed in readiness.